Despite their reputation for being death-dealing, bomb-bearing little robo-bats, drones have been taking flight for many moregood reasons these days. Now, with robotic art competitions actually becoming a thing, a new technique for creating masterpieces has emerged thanks to drone technology: pointillist portraits created in flight. 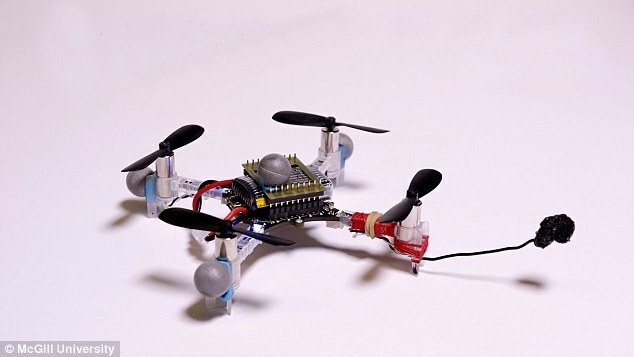 According to The Daily Mail UK, this Da Vinci of a drone is just a simple palm-sized quadcopter that uses a small arm and an ink-soaked sponge to follow its algorithmic orders. Using complex algorithms in its flight plans, and a motion-capture system to coherently maintain its position, the drone uses a “stippling” technique to apply thousands of small dots to a surface. From there, an image emerges. The project was conceived by a team at McGill University, who oversaw the completion of the automated art. 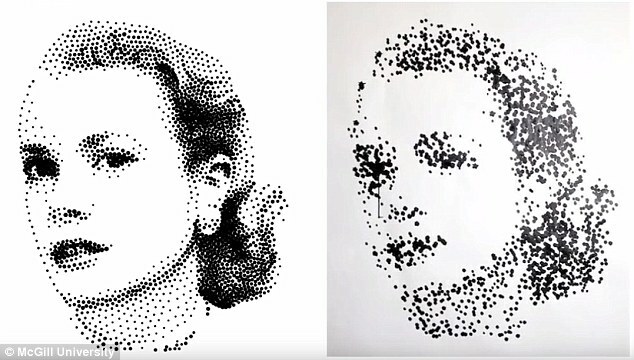 Portraits of celebrities including Grace Kelly and Che Guevara were created using a small amount of ink, with the drone doing multiple flybys and attacks with the paint to create each pointillist dot. Around 2,000 dots were needed to create Grace Kelly’s portrait, with the drone requiring a recharge of batteries and a fresh stash of ink every 70 dots or so. The accuracy of the portrait depends on the robot creating in wind-free conditions (due to its small size) and aligning well with retroflective markers to orient itself via the motion capture system. Overall results? Not bad. To be fair, it's hard capturing bountiful human beauty in any medium. While the initial efforts weren’t as accurate as projected, what great artist doesn’t have a learning curve? In the future, these drones could be used to apply murals on difficult or hard-to-reach surfaces. Yes, that probably means drone graffiti will be a thing, in the future. 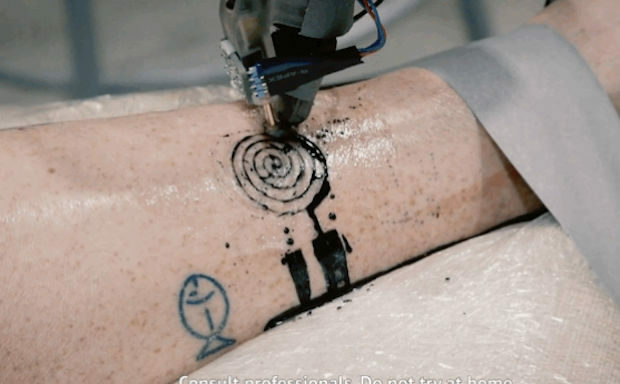 But hey, it probably will look cooler than the results of a robot tattoo artist. Some mediums should be left to the living! Um, thanks but no thanks, future. Thanks Lawless. Your slogan is impressing; make art, not war. However, now we got some interesting drone like such as self flying drone. Your idea mentioned here will be helpful for me. And yes, all your images were fantastic. This reveals how these drones will work for better in future. This is another great invention by scientist. As a researcher at Assignment Help Price Company, I consider that the battery life is completely reply on paint load. I have seen its testing on Kry's lab has for aerial painting. This is true that programming skills like these are always helpful whenever you have to build new software and a service that can be used in making something better. However, different dissertation editing help companies are still on that to work the programming better. Thank you for sharing useful information. I like all your jobs. Show your blog for future updates.